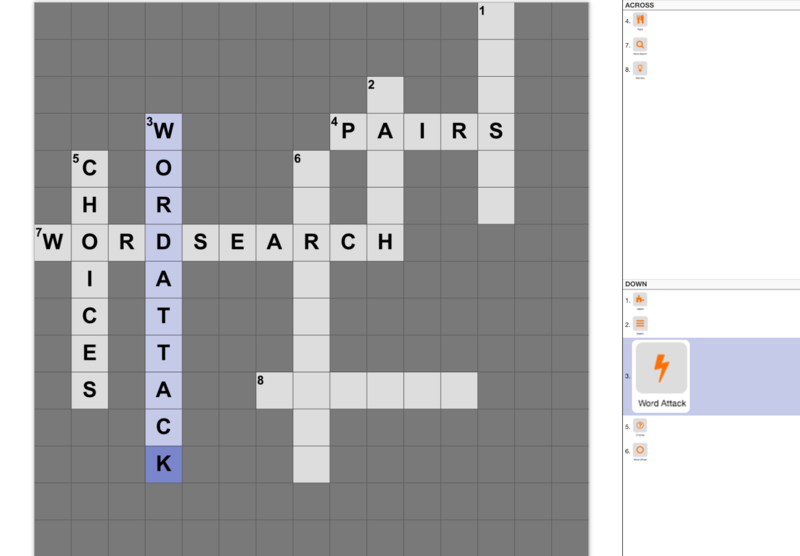 Crossword turns your Study Set into a traditional crossword puzzle. The terms are used to generate words in the puzzle, while the definitions and/or images are used as the clues. A maximum of eight words will be generated for the puzzle. This app supports words with alphabets (up to 14 characters and not case sensitive), numbers, and symbols: space and period (,). All answers have to be correct before the Study Set is considered complete.